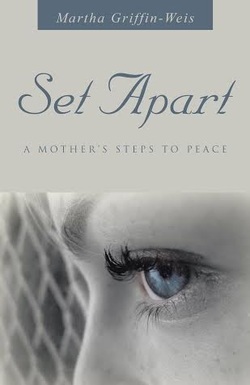 Set Apart: A Mother’s Steps to Peace traces the footsteps of a woman, Maggie, who gradually comes to suspect that her son, Ben’s, autism is caused by a reaction to his childhood vaccines. Eventually she learns how this diagnosis will change their lives. As the years pass, and he grows from childhood to adulthood, she grows in her love and compassion for him, her fortitude in the face of adversity, and her ability to leaven adversity with a sense of humor. Set Apart tells this mother’s story by describing the events of a rather normal life, one with its share of joys and challenges, that changes forever when the details and ramifications of Ben’s reality become clear. As they learn how to live with that reality, they experience the transformation of their lives. In the end, Maggie finds the peace she’s been missing and the power she needs to use her experiences to achieve a meaningful purpose in this life. Whether you have someone with autism in your family, or you know someone who does, or you simply find inspiring people who discover meaning and purpose in their lives, Set Apart: a Mother’s Steps to Peace will help you to forge a bond with a mother who overcame missteps and detours and found the path to peace in her life.